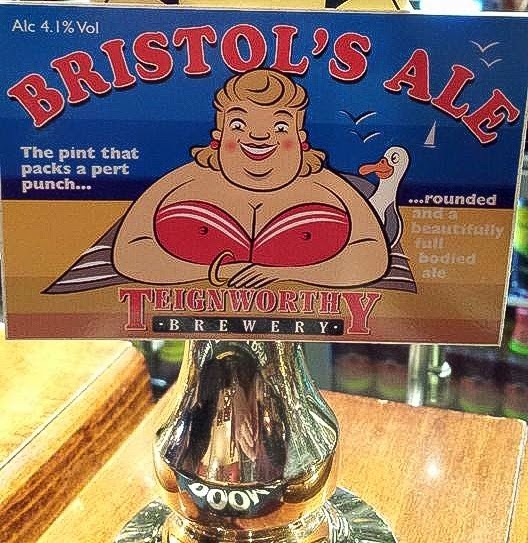 Teignworthy Brewery - "Bristol's Ale". 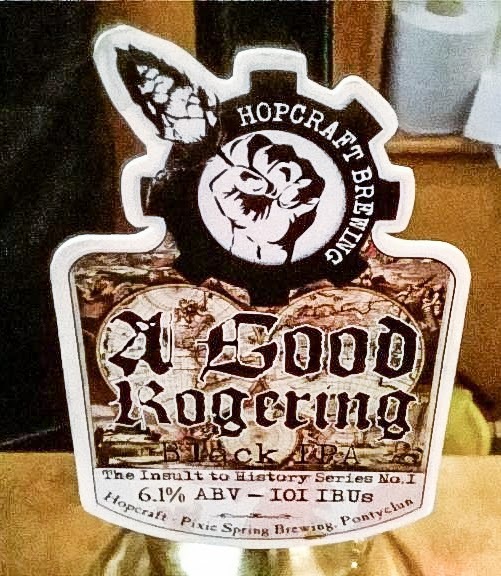 Hopcraft Brewing - "A Good Rogering"
Hopcraft Brewing - "A Good Rogering". 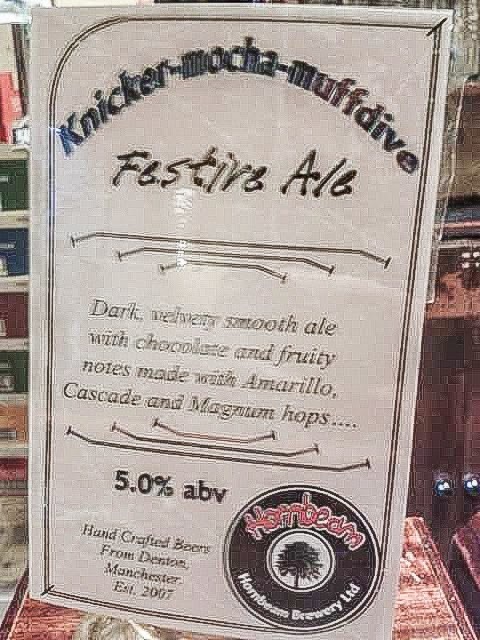 At least it's an improvement on this horror. 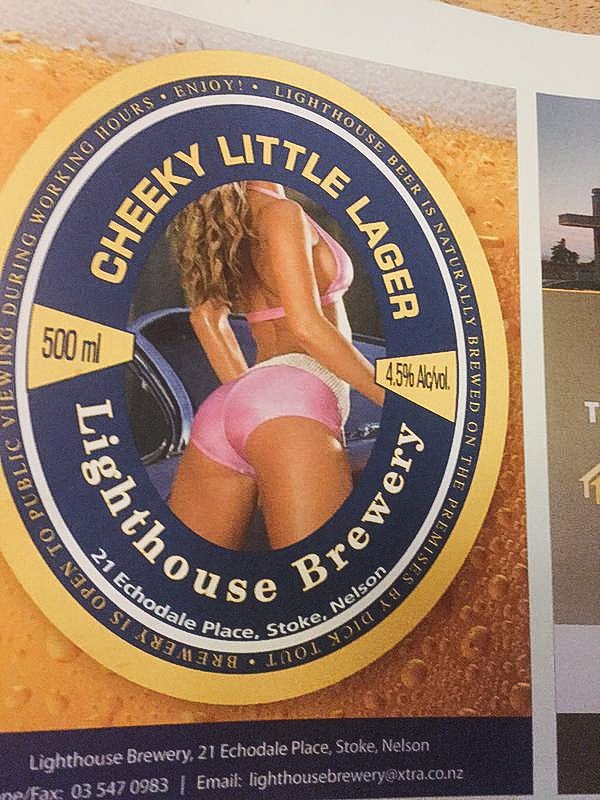 Lighthouse Brewery - "Cheeky Little Lager"
Lighthouse Brewery - "Cheeky Little Lager". 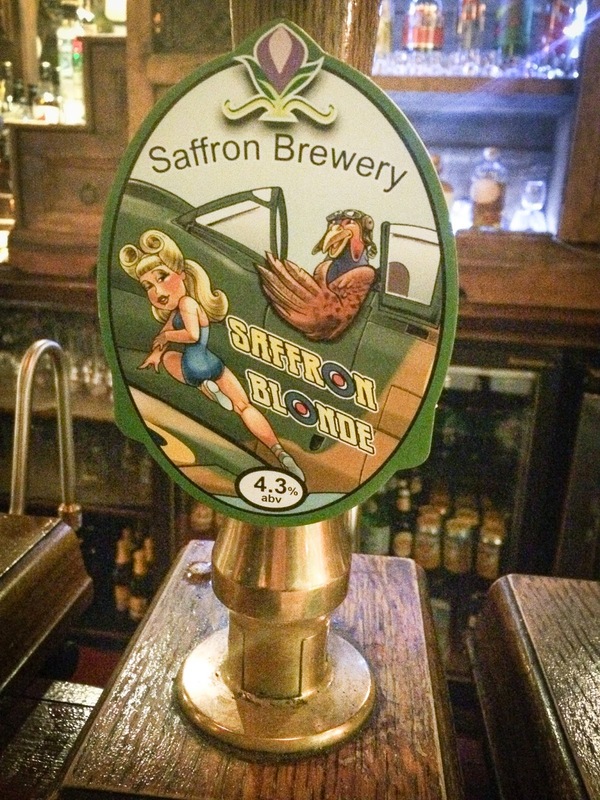 Saffron Brewery - "Saffron Blonde"
Saffron Brewery - "Saffron Blonde". 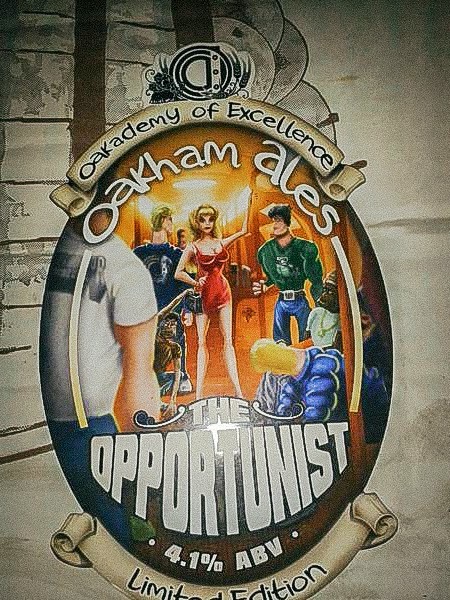 Oakham Ales - "The Opportunist"
Oakham Ales - "The Opportunist".